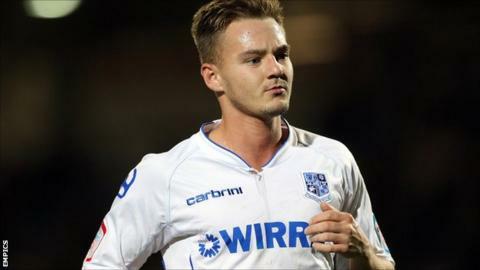 Tranmere Rovers went five points clear at the top of League One courtesy of victory over Oldham Athletic. Jake Cassidy should have fired Rovers ahead in first-half injury-time but he fired wide when one on one with goalkeeper Dean Bouzanis. However they got their goal after the break when Adam McGurk volleyed home Jake Jervis's cross. Youssouf M'changama almost equalised in the final minute but his drive was well saved by a diving Owain fon Williams. Rovers' lead at the top was extended thanks to Sheffield United's 1-0 loss by MK Dons, ending the Blades' unbeaten league start to the season.